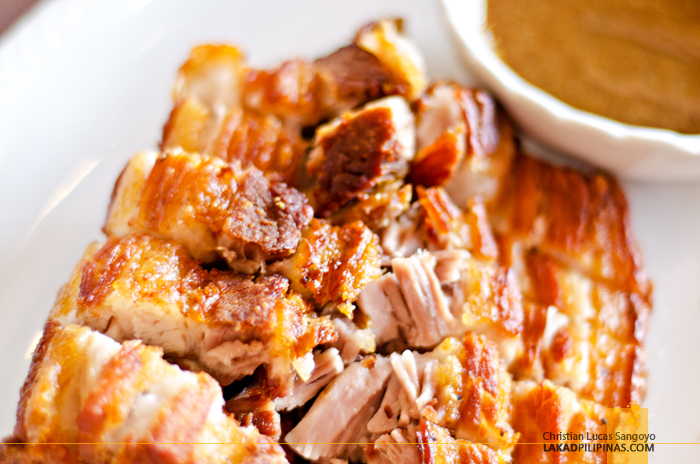 I cannot believe how good this lechon kawali was. I sat there, totally engrossed on what I was chewing, oblivious to what was going on around me. 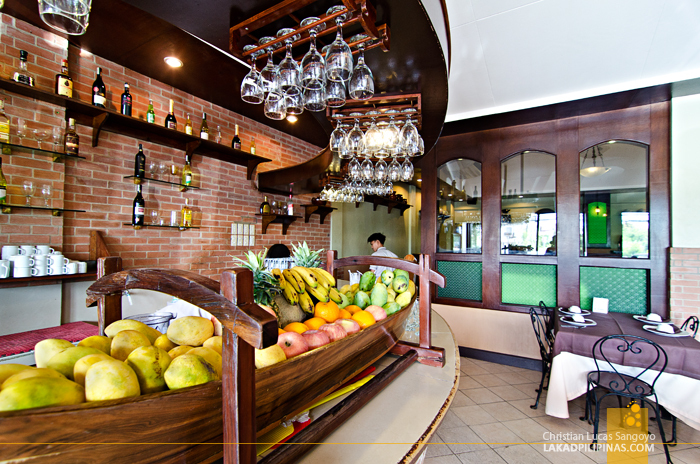 I was, with all my heart, savoring with total abandon this Filipino favorite at Rustica in Cabanatuan City. 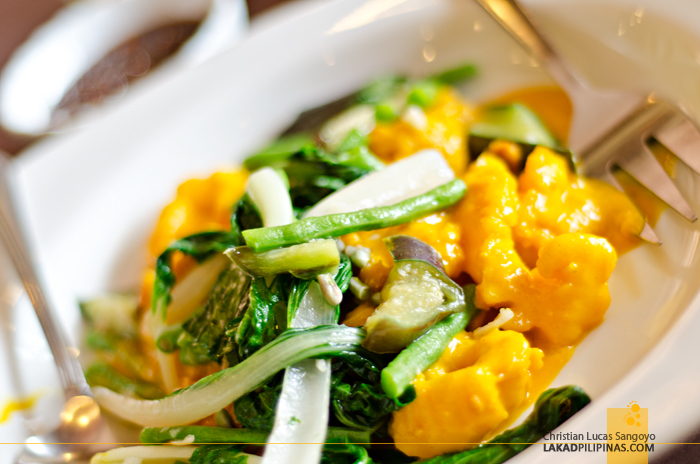 Coming from a two-month backpacking trip across South East Asia, we terribly missed the comfort of Filipino food. And this restaurant, I believe, was the answer to our fervent prayers. It was a late lunch. From a three-hour bus ride from Manila, we alighted at Cabanatuan’s central bus terminal. From there, we were picked up by Microtel Cabanatuan’s service van. And after quickly dropping our bags off at our designated rooms, we again went out, braving the smoldering summer heat of the city for some grub. The restaurant of choice was Rustica. AND THEY HAVE A BAR! 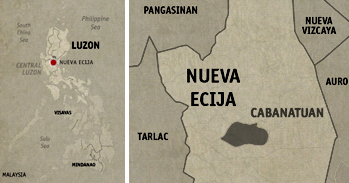 My mother hails from Cabanatuan City and we frequently visit the province during summer breaks and long holidays. But to be honest, I’ve never heard about this restaurant until Microtel introduced them to us. Not that they’re not famous (I checked with my cousins, they know it well), the reason lies more on the fact that we hardly ever eat out when we’re in town, preferring the humble feasts held by my relatives. But this time, since we went to Cabanatuan thru Microtel’s invite, we get to have a taste of what this now bustling city has to offer. 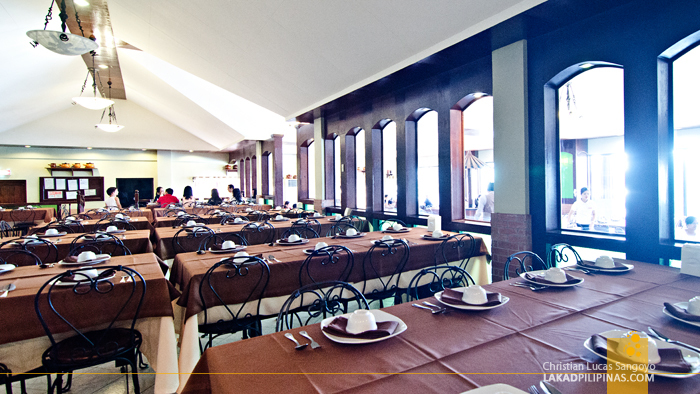 Rustica is one of the hotel’s partner restaurants. Its interior is pretty basic, but quite decent especially on a provincial settings. The theme seems to evoke a homey atmosphere with a bit of old classic mixed in between. It was pretty spacious, with another set of tables capable of hosting a banquet found on its inner hall. Our hosts from Microtel ordered for us; which is probably a good thing, since they know which ones are Rustica’s bestsellers over their mediocre ones. So we just sat there and waited to be fed, I mean, eat. Lol. 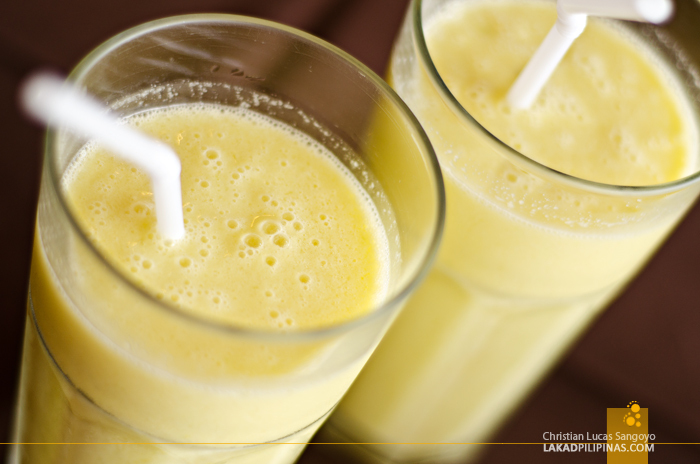 The first to arrive were the Green Mango Shakes (Php125.00). I initially asked for a ripe mango, but was told that the green one was so much better. I’m glad I listened, it was indeed superb. I love how its sourness and slight sweetness was set just right. Lunch arrived after a few noisy sips; Sinigang na Ulo ng Salmon (Php300.00), Kare Kareng Seafood (Php375.00), Lechon Kawali (Php275.00), Ensaladang Hilaw na Mangga, Kamatis at Bagoong (Php150.00) and cups of steamed rice (Php45.00). The prices are on the steep side but serving sizes were good enough for two to three persons. And it’s a generous estimate at that. Case in point, we were five in the group and we were fit to burst after our meal. 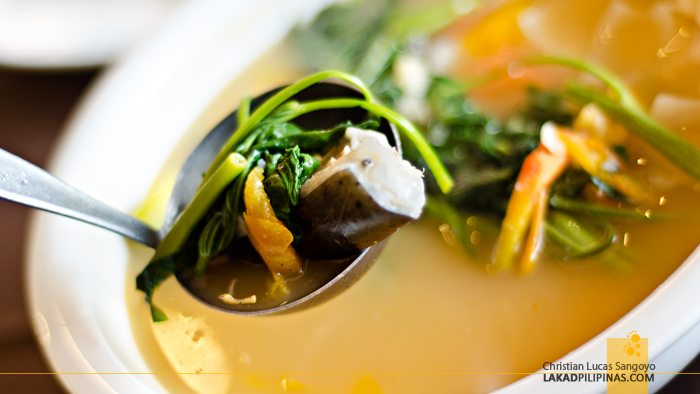 I have no love for dishes that combine fishes and soup, so the sinigang was out for me. Its soup was quite good though—just the right amount of sourness—yeah, I took a few sips just to check how it fares. Rustica’s kare-kare on the other hand was outstanding. It wasn’t swimming in peanut sauce, as is the usual case with such, but it has the same flavor that old-school grandma’s cook. The meat was super tender and its veggies were quite crisp. 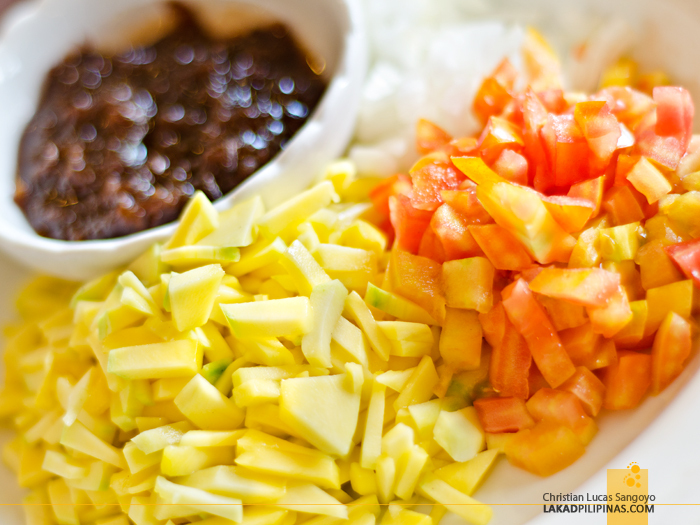 Its bagoong pair, which has a slightly sweet tang, also added points to it. 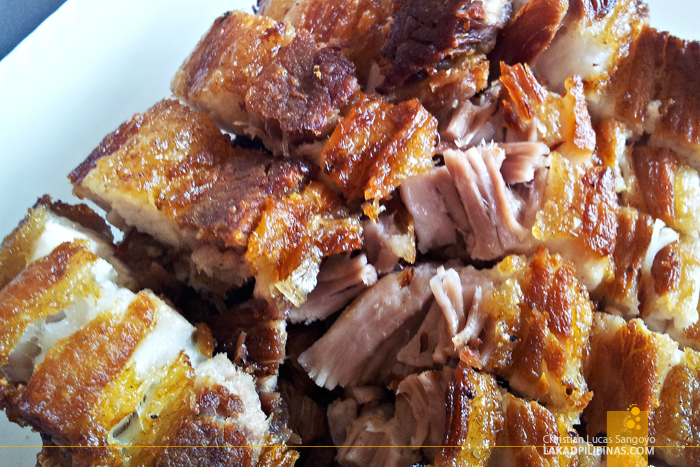 But it was the restaurant’s lechon kawali that made me forget that I’m trying to lose weight. It was outlandishly good! Fried into golden goodness, the skin is super crispy while its meat is utterly tender; the fat in between simply melts in your mouth like M&M’s does (well, except this is pork). We threw in a good helping of Mang Tomas and it was heaven set on a plate. 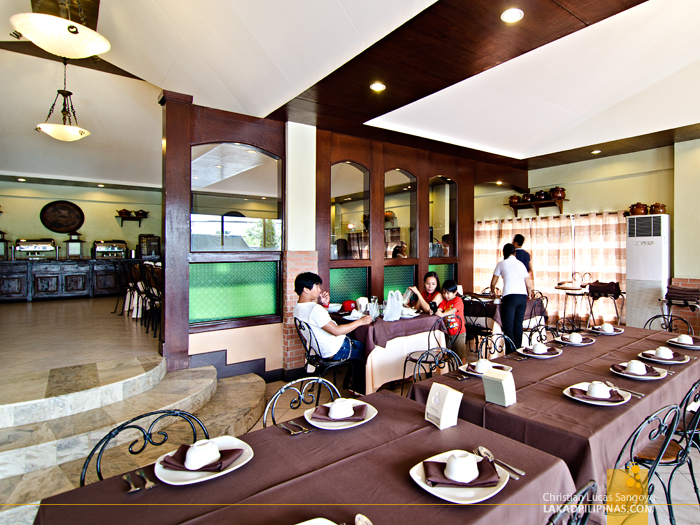 Rustica Cabanatuan was indeed our answered prayer for a good ol’ flavorful Filipino food. We were indeed home.